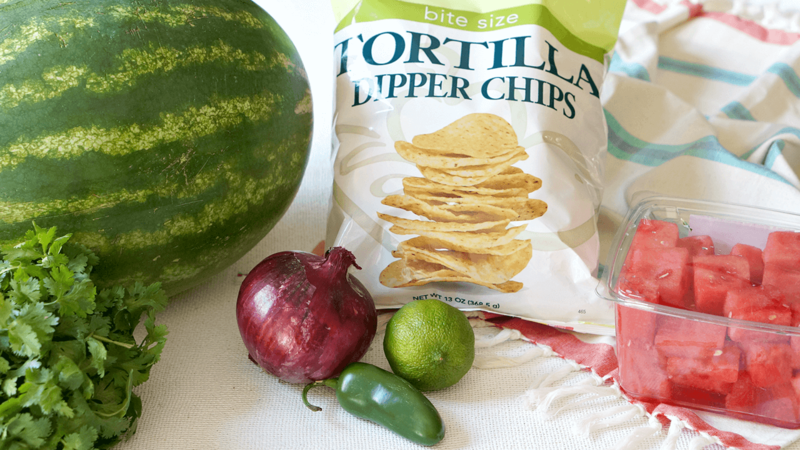 Loving watermelon as much as we are this summer? 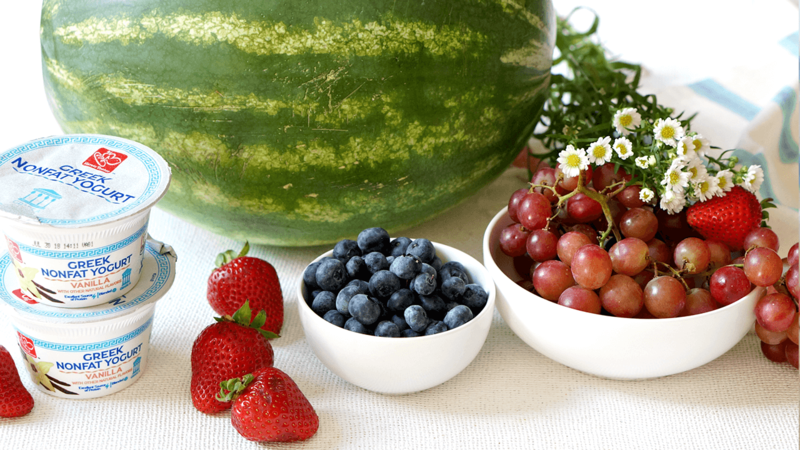 Try these three unique recipes for a refreshing spin on this iconic summer fruit. 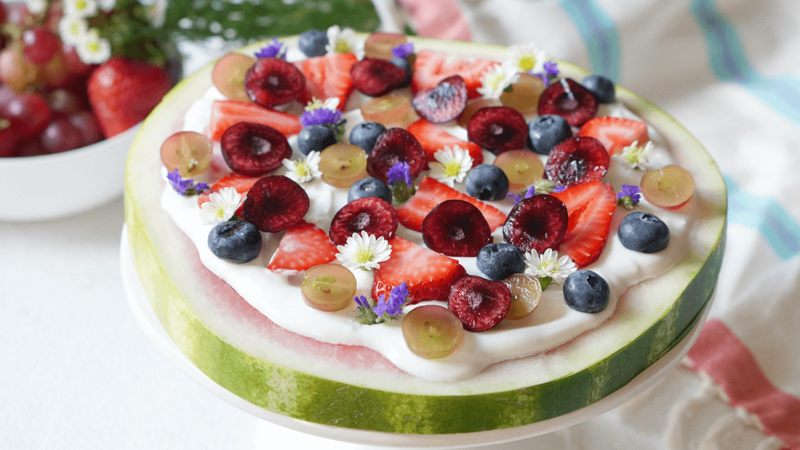 Whether you couldn’t pass up the amazing price on watermelon at your local Harris Teeter or ended up with extra after a summer picnic, you’ll want to try these absolutely DELICIOUS watermelon recipes! 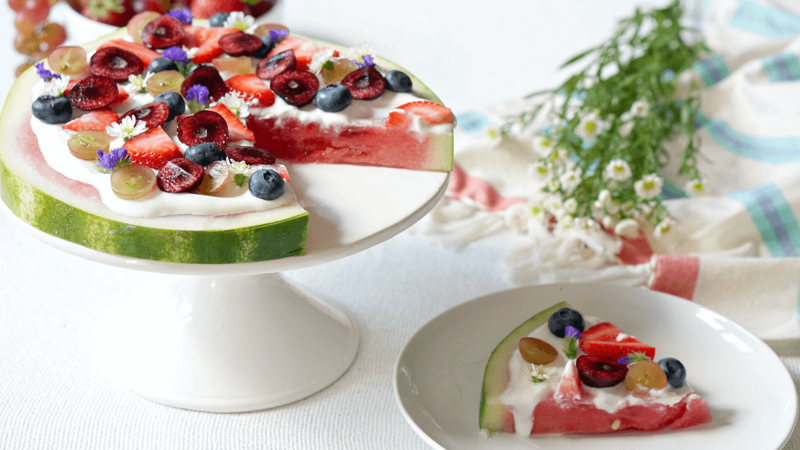 Not only beautiful, but oh so refreshing, these unique watermelon dishes are the perfect treat for any summer get-together. Sure, it’s absolutely lovely to look at, but wow. This salsa is sooo good. 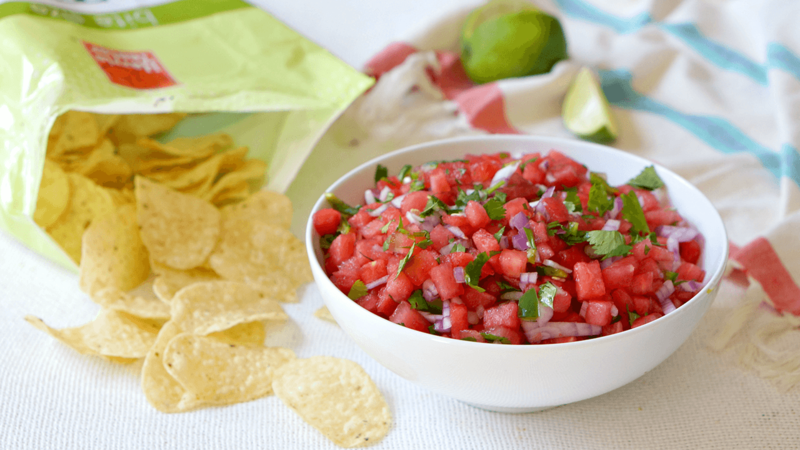 To be honest, once mixed in with the other ingredients it’s not super “watermelony.” It’s lightly sweet, with the perfect amount of salt and spice. And the texture is just fabulous. 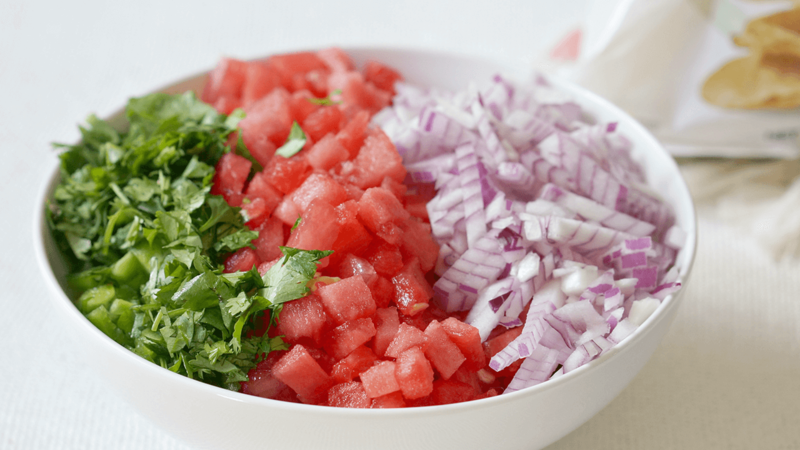 Combine 4 cups of finely diced watermelon, 1 cup of chopped red onion, a handful of chopped cilantro, and one minced jalapeno that’s been seeded. Combine all the toppings and add the juice of one lime and a pinch of salt. Stir carefully, and serve with Harris Teeter Tortilla Chips. THIS is a show-stopper. Others may spend longer on their desserts, but we promise - this will be the star of the dessert table! 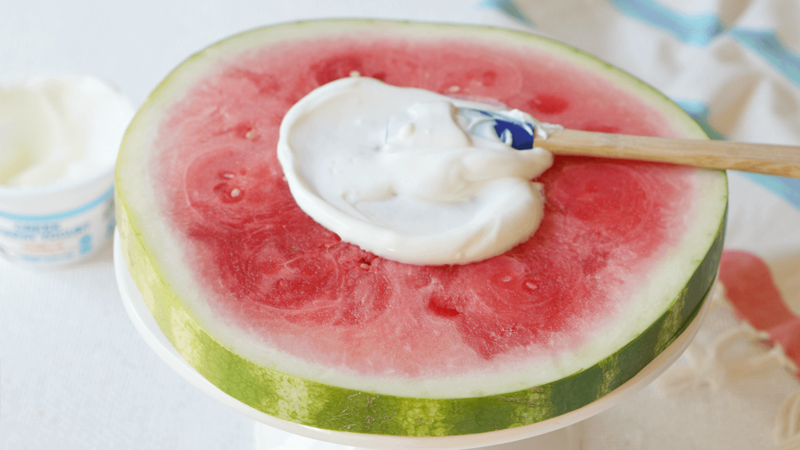 Top the watermelon round with Harris Teeter Vanilla Greek Yogurt, leaving a enough around the rim to just see the color of the pink watermelon. 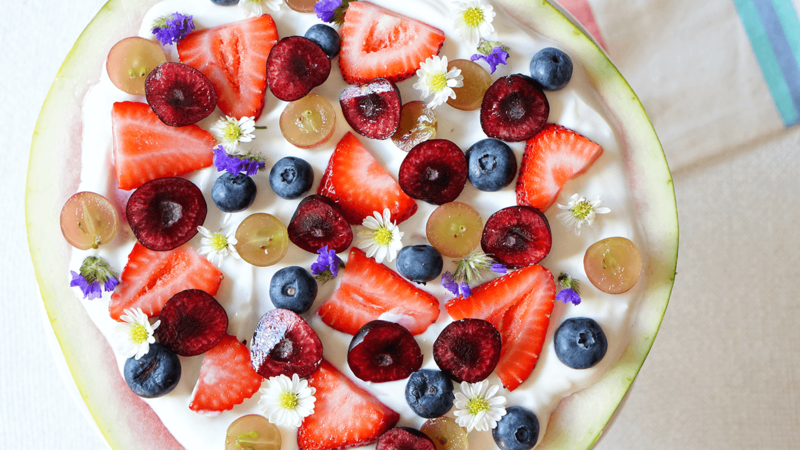 Top with sliced berries, cherries and edible pesticide-free flowers. My kids love getting classic snow cones at the pool, but do you know what they like even more? Making our homemade version with frozen watermelon. 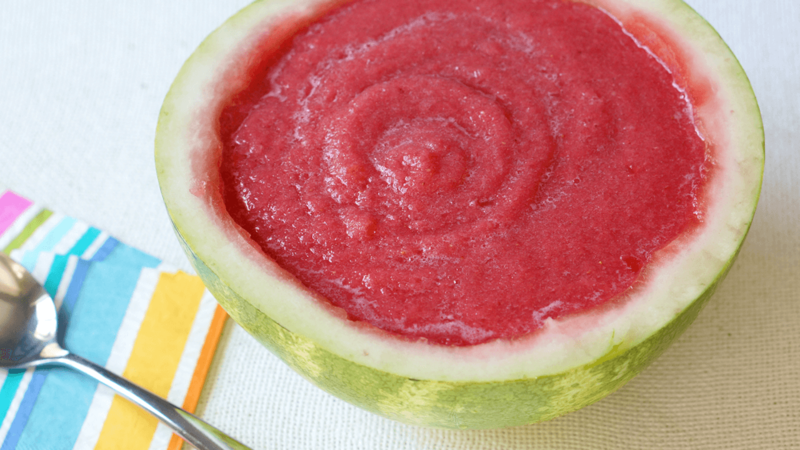 We always cube up leftover watermelon and freeze it to make this recipe on hot summer days! Place 5 cups of chunked frozen watermelon, 1 cup frozen strawberries, ¾ cup sugar, the juice of one lemon and ½ cup of cold water in a blender. Process until smooth. 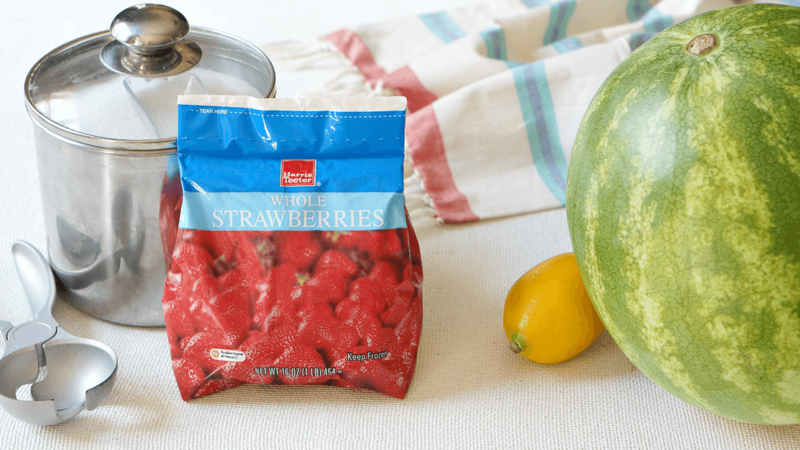 Pour into a plastic storage container (or half of a watermelon!) and freeze until ready to serve. It’ll be the consistency of a slushy right away, but it you want it to be more like a snow cone, freeze for at least 4 hours.